Director Chiu Keng Guan burrows deep into the minutiae of common themes like familial love, friendship as well as patriotism, and does so with aplomb. 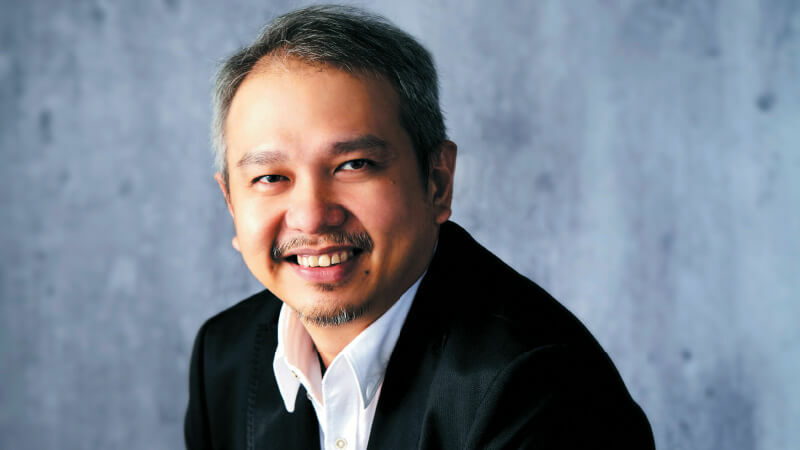 His most recent films, The Journey and Ola Bola, achieved something local politicians and government leaders have wrestled with for decades — bringing together Malaysians of every creed and colour. “I don’t make films with the intention of attaining a certain goal. But when I see people laughing, tearing up and waving the national flag in the cinemas while watching my films, I feel extremely touched,” says the affable Batu Pahat-born director. Growing up as an avid fan of football and the arts, Chiu pursued graphic design at university before fate struck ­— he was sculpting a horse out of cement one day when fragments of it fell onto a newspaper, right where it showed an advertisement for a vacancy in a local film production company. He applied and rose through the ranks from quality assurance officer to editor, before enrolling at the Beijing Film Academy later. You will recognise a masterpiece from Chiu when you see one. He finds beauty in banality, be it a breezy motorcycle ride along the kampung roads, rolling clouds in the sky or a sweeping vista of the scenic Broga Hill, and couples it with a poignant soundtrack. His tear-wringing storylines shed light with a poetic resonance on intimate, real-life struggles such as the obstacles of inter-cultural marriage, father-and-daughter relationships and national unity. Chiu is adept at exploring the emotional nuance of his characters — most of whom are played by first-time or non-mainstream actors — without succumbing to melodrama, mirroring the “realism” approach in the works of Japanese filmmaker Hirokazu Koreeda’s, of whom Chiu is a fan. The director has always been vocal about promoting independent films or casting an unfamiliar face so that it can open more doors for the younger generation and revitalise the languishing local filmmaking scene. “Yes, good local films are rare, but it’s heartening to see many young filmmakers who are defying the odds and carving out a career in a challenging movie climate. I think it’s very important not to beat yourself up if you fail. Listen to criticism, but don’t bury yourself in them. Always think about what you want to do first before worrying about the circumstances like budget, time or censorship, because if you dwell on those, you’ll never get anything done,” he says. Chiu has proven his ability to cast a spell over its audience, in part perhaps because he eschews blockbuster techniques in favour of simpler stories with a straightforward yet resounding message. His films — teeming with relatable themes — have riveted audiences, sometimes leaving them in a reverie as they reacquaint the scenes on the big screen with events in their lives. Fashioning a film about Malaysians in a country that is culturally polarised, and seeing the overwhelming response ripple across the country, has reaffirmed that we are not so divided after all. Winning an award is career-affirming for Chiu, but such accolades also serve as a powerful motivator for him to reflect on the roles of artists and filmmakers in tumultuous times.